Note: This hike is limited to the first 25 scouts and a parent (50 people maximum for this event). Scout only, no siblings. One parent per family. Registration is now closed. Cost: Free for scouts. $8 per parent. Pay by February 28th to hold your spots. Pay online (fee) or deposit your check in the Scout Box at the Coyote Creek Elementary School by February 28th. Time: Allow about 1.5 -2 hours for program and hike. Suggested Age: Tigers, Wolves, Bears and Webelos. 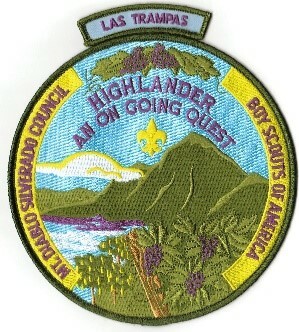 Award: This is a Trail Trekker Patch Hike. 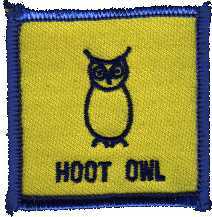 Participating scouts will receive a Hoot Owl patch. 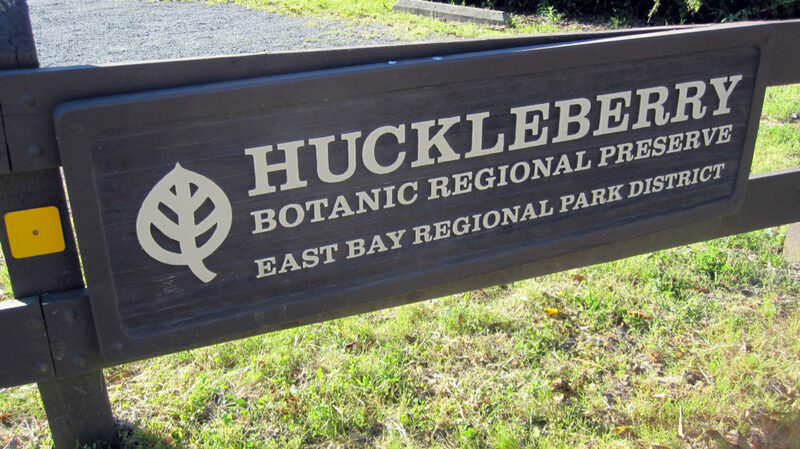 Come join us for the 2019 Hoot Owl Hike at the California Nursery Historic Park. The California Nursery Historic Park has many old trees that are ideal for Owls and other Raptors to roost, nest and hunt from in search of food. Bring your flashlight and walk through the grounds at dusk, this is a good time to spot an owl in the trees or hunting for prey. Meet at the California Nursery Office for an introduction to owls and then walk at the sun goes down you will look and listen for the raptors that hunt at night. Discover owl pellets and the bones of what the owls ate at the Vallejo Adobe. Other night birds will also be seen in this forest in a park. Small flashlights are acceptable. This hike is limited to the first 25 scouts and a parent who has submitted his or her payment by February 28th. Free for scouts. (50 people maximum for this event). SIGN UP HERE TO ATTEND. 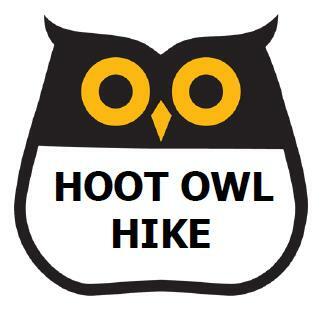 Scouts completing this hike will earn the Hoot Owl Trail Trekker rocker patch. From Highway 680: Take the Crow Canyon Road exit. 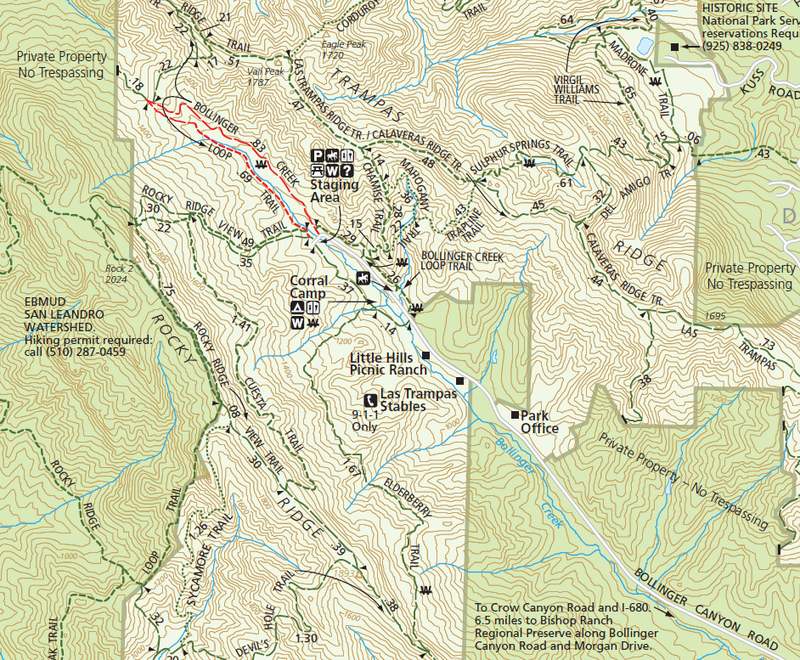 Drive west on Crow Canyon for about 1 mile, then turn right (north) onto Bollinger Canyon Road. Continue about 4.5 miles to the trailhead at the end of the road. Alternatively, drive west on Bollinger till it ends at the park. About 10 miles from school on Bollinger Canyon Road. Meet at the parking lot at the end of the road inside the park. Bollinger Creek Loop trail. A very nice nearly flat 1.2 Mile trail. Should take less than 1 hr to complete. Easy hike for our younger scouts a nice hike to start off this scouting year. Since this is a short hike we can start later when it is slightly coiler. Little Yosemite is a scenic gorge with gorgeous waterfalls and pools. 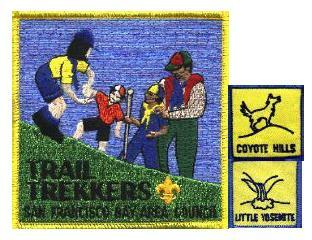 The Canyon View Trail is an excellent hike for Cub Scouts and a great way to get to Little Yosemite. The trail begins near the Visitor Center, at the bridge that crosses the creek. After crossing the bridge, turn right and head upstream. The Canyon View trail is well marked. The trail goes up a ridge (or two) and proceeds along the hillsides that border the creek. Along the way, you'll see some nice views of the creek and canyon. About halfway, the trail drops down into Jacobs valley. Stay on the trail until you get to Cerro Este Road and turn right (toward the creek) and follow the road to Little Yosemite. 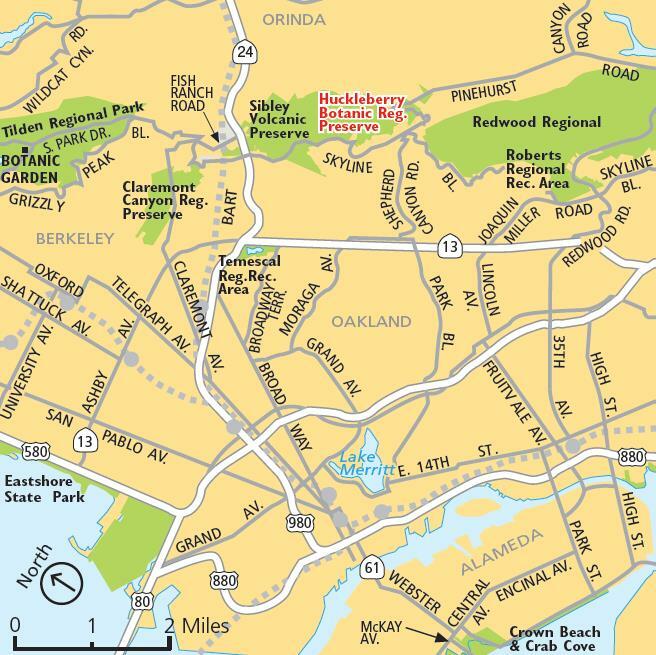 When you get to the outhouse on Camp Ohlone Road, cross the road where you will find a path that will take you down the very steep sides of the creek's banks, to the ancient piles of boulders called Little Yosemite. This is a perfect place for boys to study rocks and have lunch. Remember collecting specimens is not allowed. Watch for poison oak. Go south on I-680 and exit at Calaveras Road/Highway 84 just south of the town of Pleasanton. 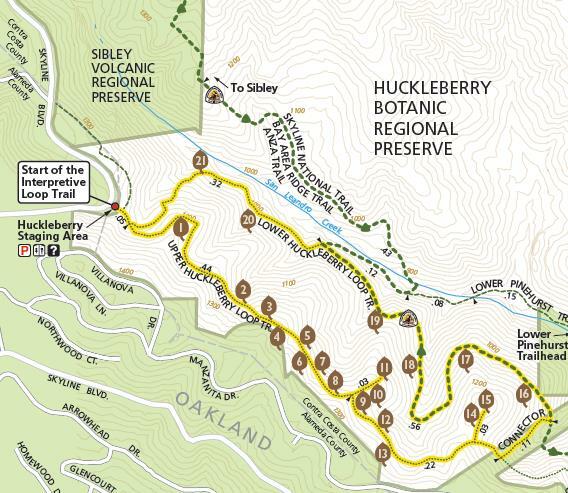 Turn left onto Calaveras Road and proceed to Geary Road, which leads directly into the park. Parking & Fees: Park on Morgan drive. No paid parking available. In January, let's explore areas in our community where we can go for a short hike. 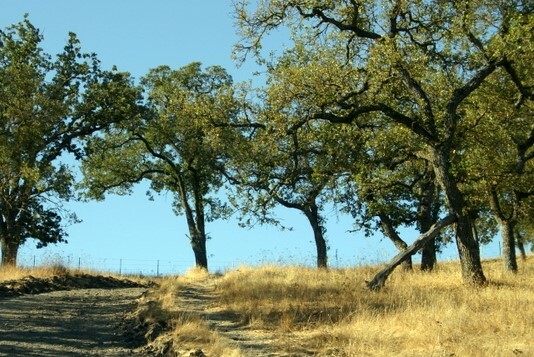 The Bishop Ranch Regional Open Space Preserve offers quiet and solitude on 444 acres just a short distance from San Ramon Valley subdivisions. Watch for animals such as deer, red-tailed hawks, and turkey vultures. 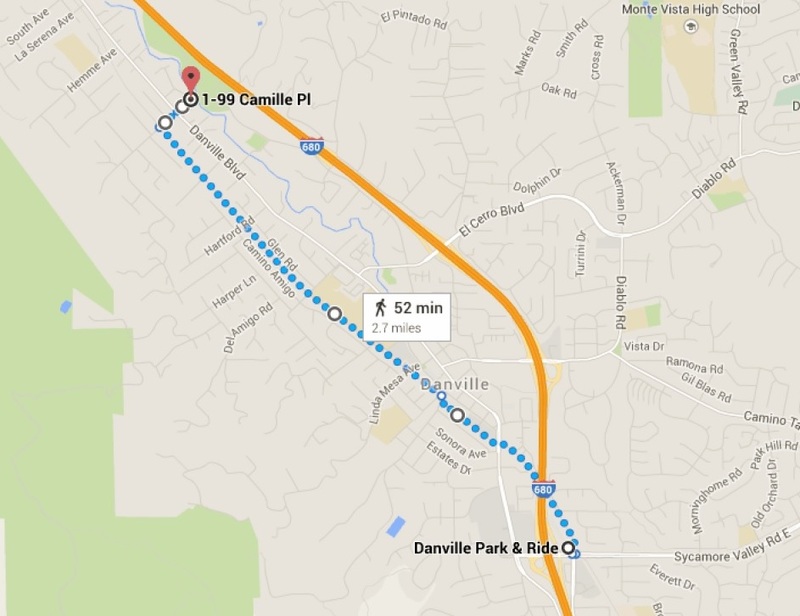 The trail will be a short 2.5 mile loop comparable to our last two hikes so it should take about 90 mins to complete. 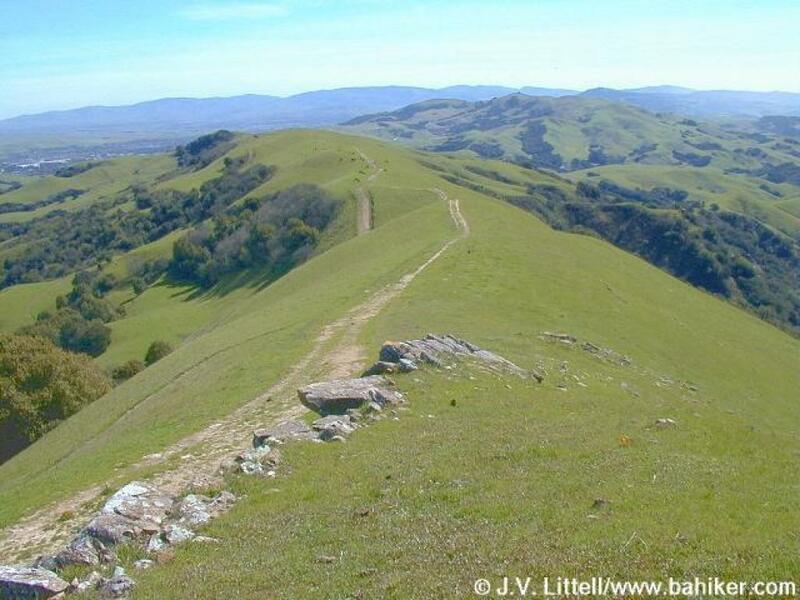 Elevation gain will be about 400 feet which is similar to the 350 feet we had at our last hike in Coyote hills regional park. Parking & Fees: Parking at the Visitor Center. $5 parking fee. Plenty of water, snacks. Wear clothes appropriate for the weather. Sack Lunch (optional) Scouts can have lunch after the hike. The hike at Sycamore Grove park was a nice and easy one so let's do something more exciting in December. After all, we need to burn all the calories from all the yummy food we eat during the holidays. 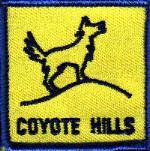 Our next hike in December will be an moderate hike at Coyote Hills Regional park in Fremont. The trail is about 4 miles long with few short hills. Tiger scouts are encouraged to participate. The kids will enjoy walking on the boardwalk and we will stop at the wildlife viewing platforms to observe water fowl and possibly muskrats. We might see some herons and cranes that visit the bay this time of the year as they head south for the winter. On a clear day the views are great. Coyote Hills is an important wildlife sanctuary. Its marshes are part of the Pacific Flyway, an aerial highway for migrating waterfowl and other birds. Deer are frequently seen here, as well as raccoons, foxes, muskrats, and skunks. We will look for their tracks in muddy areas. The hike at Redwood Park was a great start to our hiking calendar - it was 2.6 miles long with an elevation gain of 1200 feet - quite an achievement for our scouts ! 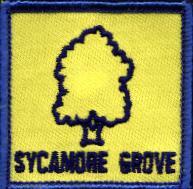 Our next hike in November will be any easy one at the Sycamore Grove Park. The trail is 2.5 miles long with hardly any elevation gain. It will feel like a walk in the park after our Redwood Park hike. Tiger scouts are encouraged to participate. This park has a lot of reptiles and if we are lucky and patient we can see some. Near the wet area, we can see some great blue herons - don't forget to look up. Wandering among the Park's sycamores, you may be fortunate enough to see a fox, a bobcat, or perhaps a Red-tailed Hawk soaring overhead. Magpies and Bushtits chatter as you stroll along quiet trails. A quiet hiker can sometimes find deer, rabbits and hares, ground squirrels, mice, lizards, snakes, turtles, frogs, and a variety of birds and insects in the park. which items can be recycled. Scouts will be doing their part in keeping our school clean and following the principles of Leave No Trace. Walk along the outer perimeter of the school and then walk around Briza Loop. We can split into groups and explore areas around Lantana Way/Cattleya Drive if time permits.